We repair and service Samil Power inverters! If you’re having issues with your Samil Power inverter, or it needs servicing, contact Service My Solar, your after-sales solar expert. Our qualified technicians will provide you with professional guidance and perform high-quality work to help you get your system up and running again. 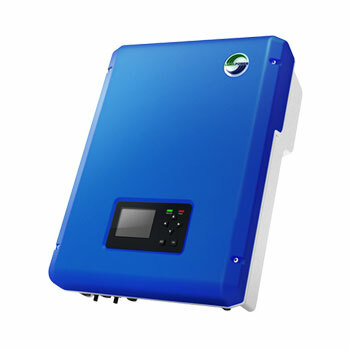 Samil Power is a Chinese manufacturer which commercialises inverters commonly referred to as the “big blue box”. If your inverter isn’t listed here, contact our friendly staff and we’ll let you know how we can assist you. Repairing a Samil Power solar inverter can be tricky, which is why it should only be done by a trained professional. At Service My Solar, we use a comprehensive procedure to ensure your unit is repaired promptly, properly and affordably. Our qualified technicians generally visit your property and inspect your inverter, source replacement parts from the manufacturer, and fix the damaged parts themselves or recommend a new model. In any situation, we’ll run a number of performance and safety tests before we sign off your inverter and return to duty. With high safety and labour standards as well as national coverage and strong manufacturer relations, Service My Solar guarantees quality repairs at low prices. To make sure you get the most out of your unit, we advise that you monitor it regularly by checking its yield. The light on your inverter should always be green. If it turns red or off, you should get your system checked. To reset your system, follow our manual shutdown procedure. The warranty period for Samil Power inverters is 5 years. During this time, you can submit a claim to have your unit repaired or replaced, but you will still have to pay for a technician to visit your property and install your new system. Please note that Samil Power’s warranty claim review process is lengthy, so you might have to wait a while before your system is up and running again. To read Samil Power’s Warranty Terms and Conditions, click here. Even if your system is no longer covered by warranty, we can still come and inspect it. Our technicians will either fix your inverter or, if it is not repairable, offer you a replacement option so you can get it replaced in one visit and save money. Service My Solar is one of Australia’s most trusted solar energy companies, offering high-grade, cost-effective solar energy solutions nationwide. Thanks to a powerful and extended network of offices, Service My Solar is able to help all Australians get the most out of their solar power systems. To get your inverter fully operational again fast, call 1300 496 278 and talk to one of our friendly technicians about service and repairs for your Samil Power inverter.